Given an existing site with a limiting 50 year-old residence, the owner loved the location and ground but wished to remove the existing residence and design a new home which met their needs and design sensibilities. Key inherent site design elements included: incredible solar orientation, a 150 year-old specimen oak tree, and an existing in-ground pool. The owners gave the designers flexibility in planning their modernist sprawling ranch program. The plan maximizes views to the property from every room and creates various courtyards for privacy, natural light, and contemplation. A second-floor bonus perch was incorporated for the owner’s office. 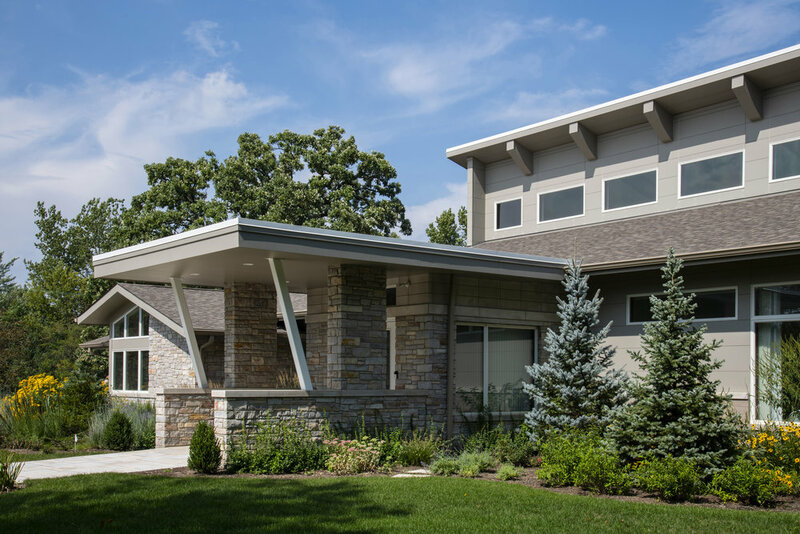 Exterior cladding materials include cement board panels, Wisconsin field stone, limestone accents, Norman brick, clad windows, and architectural shingles. Most of the large interior volume spaces where achieved with laminated beams, wood trusses, and conventional wood framing. 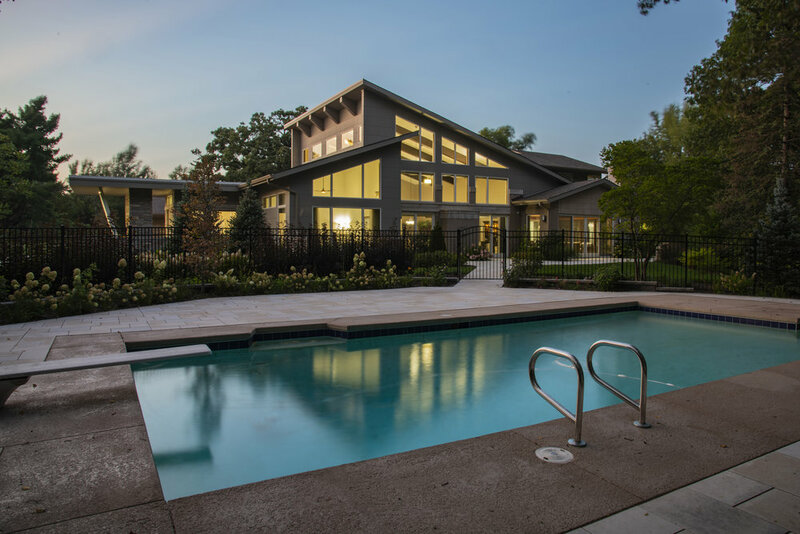 Warm radiant heat floors, recycled materials, and water and energy saving fixtures were specified and carefully detailed for the fully sprinklered residence.